"The file you are downloading cannot be opened by the default program. It is either corrupted or it has an incorrect file type." 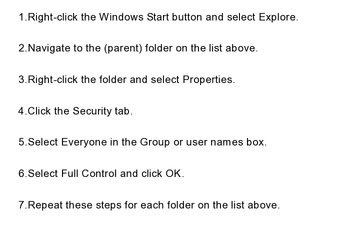 First try following steps to solve the issue: Restart you system & try to download PDF file again. Delete temporary Internet files from the browser. De-select the 'Display PDF In Browser' and then select it again. After that try to download PDF file again. Try opening a PDF on your local system, in another version of Internet Explorer. Try opening some other PDF at some other URL on Internet Explorer. If I click on 'Yes' option, it says that Excel was able to open the file by repairing or removing the unreadable content. Excel recovered your formulas and cell values, but some data may have been lost. When I checked this message, I was afraid to use this option because I didn't want to lost my data at any cost. This error may be arise due to file corruption or there is also possibility that one or many of file components get corrupted. When you are trying to convert company file from older version: If the error persists due to older version of QuickBooks so you should Update the latest release of the product. When I have downloaded the compressed zip folder to my desktop & trying to open it.. It says the 'compressed (zipped) folder is invalid or corrupt'. In my research to verify downloaded zip files, I have discovered that zipped files seems to be corrupted. However, re-downloading the zip file on system is also showing the same error message. What’s going on? So now what do i do? I tried to find the exact cause of this error message. 1.If you download file in Mozilla Firefox, you may experience this error message. 2.This error can be occur if you download file in Microsoft Internet Explorer & using Windows XP. To open compressed file, you use the Compressed Folders feature & may also experience this error message. 3.This error can be occur if the problem with the compressor tool that I used to create the ZIP. it does not decompress properly on Windows. 4.The download file is truncated. 5.The download file is probably corrupted. How to Fix Error JPEG File "No preview available"
One of my friend send me the live scenario which he faced before two days back. 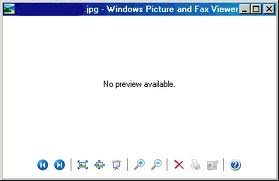 Scenario: When I tried to open images in Windows Picture and Fax Viewer it displays "No Preview Available" error message. All images have JPEG extension. Explorer shows no preview in preview mode, i get "No preview available"Windows picture and fax viewer - the same "No preview available"When I try to open the file in Adobe Photoshop Elements 6 it displays "Could not complete your request because an unknown or invalid JPEG marker type is found".Other programs say something along the lines of "Cannot read from file" or "File contains errors"
You may have corrupted or missing headers in the JPEG files. PS: You should make a backup copies in different locations and on different media before trying any solution.